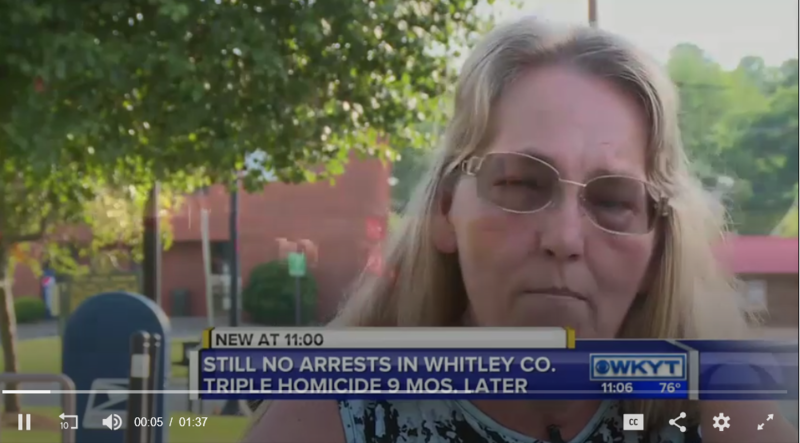 WHITLEY COUNTY, Ky. (WKYT) - It's been almost nine months and there are still no answers in a Whitley County triple murder case. On Sept. 13, 2017, Emogene Bittner, her husband Christopher Bittner, and Bittner's son Robert Kennedy III were found dead at the family's home on Deep Branch Road. Kathy Faulkner, Emogene Bittner's mother, is the person who found them and called 911. "They took my world, my life, my everything," Faulkner said. "I don't want anyone to have to go through what I'm going through."